Many Parisian museums do not charge an entry fee. One of the best is the Musee Carnavalet – Musee de l’Histoire de Paris. Paris is renowned for its exquisite shopping arcades. Take a walk down Galerie Vivienne to see the beautiful architecture which has been around since the 18th century. 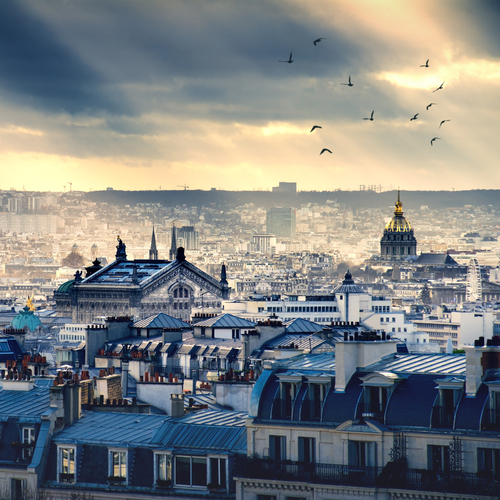 For one of the finest views in Paris, leave your Montmartre hotel and climb the steps of the Sacre Coeur. The view across the city with the Eiffel Tower as a backdrop is spectacular. Many churches in Paris offer free concerts. The sound of the organ at Notre Dame de Paris is not to be missed. Listen whilst exploring this famous cathedral. Parisian markets are very atmospheric and full of color. The Marche aux Puces de Saint-Ouen is around 10 miles in size with thousands of stalls. Leave your hotel early in the morning and explore one of the best markets in the world. The Louvre is free on the first Sunday of each month. It is crowded, but an excellent chance to see some of the most famous art in the world for free. The Musee D’Orsay also operates a free first Sunday policy. Walking is one of the best ways to see Paris. Wander along the River Seine past old bridges, or stroll up the Champs Elysees to see the Arc De Triomphe. In summer there are free cinema showings at Parc De La Villette. Sit on the grass and watch a movie in this fabulous communal event. Pere Lachaise is renowned for its exquisite tombs and is the final resting place of many famous people. Among many others, you’ll find Jim Morrison of The Doors and Oscar Wilde. Opened years before New York’s High Line, La Promenade Plantee is a beautiful way to see Paris. The 4.5 km walkway is an elevated disused railway and takes in viaducts, arches, and some wonderful perspectives of the city. Paris doesn’t have to be an expensive city with all of these free experiences in the City of Light. This post was posted by Fiona Moriarty on Hipmunk’s Tailwind blog on July 13, 2015. DRAGONN® Full Size Heavy Duty Pizza Cutter Wheel Only $5.99 (Reg. $14.99!) + Pizza Cookbook Deals!